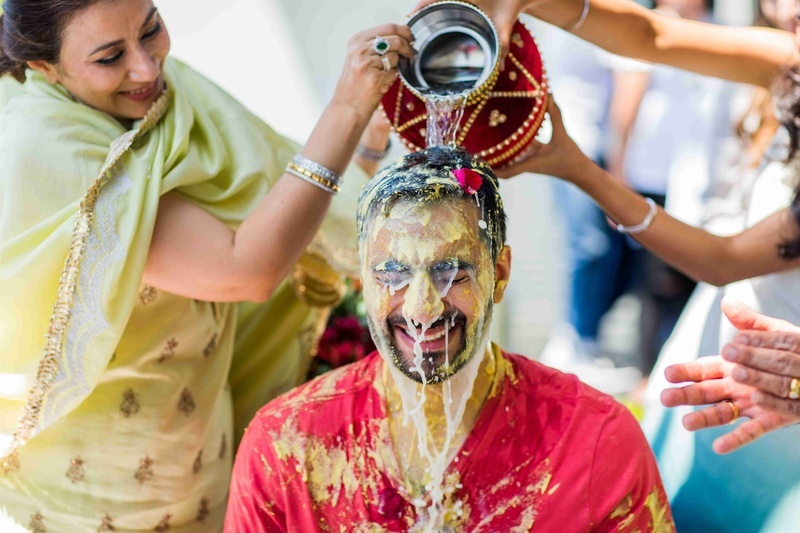 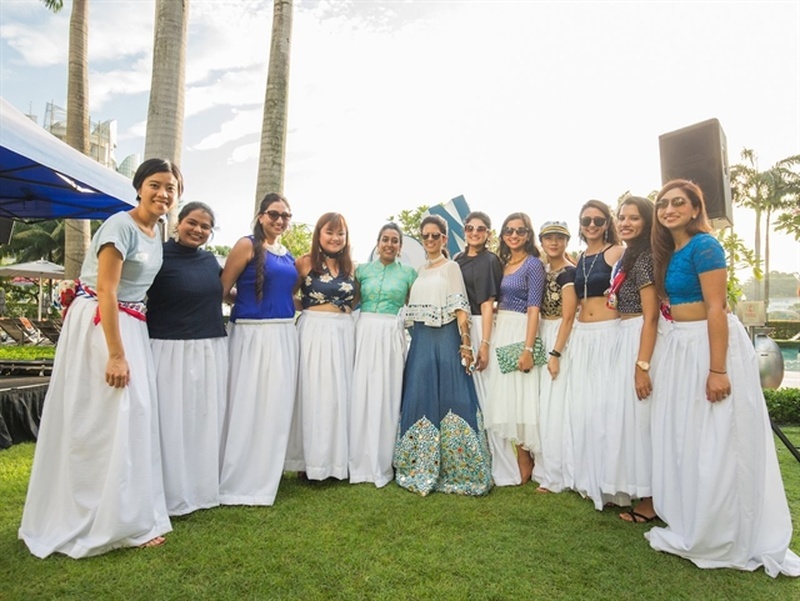 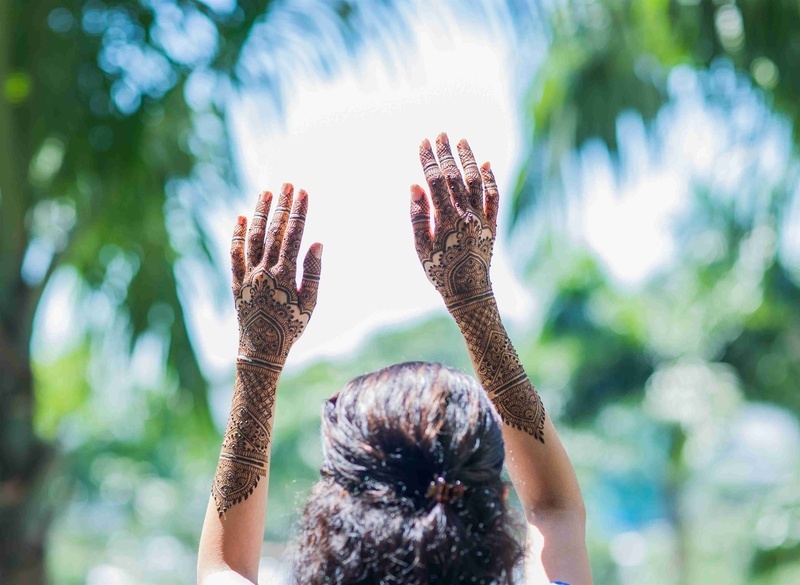 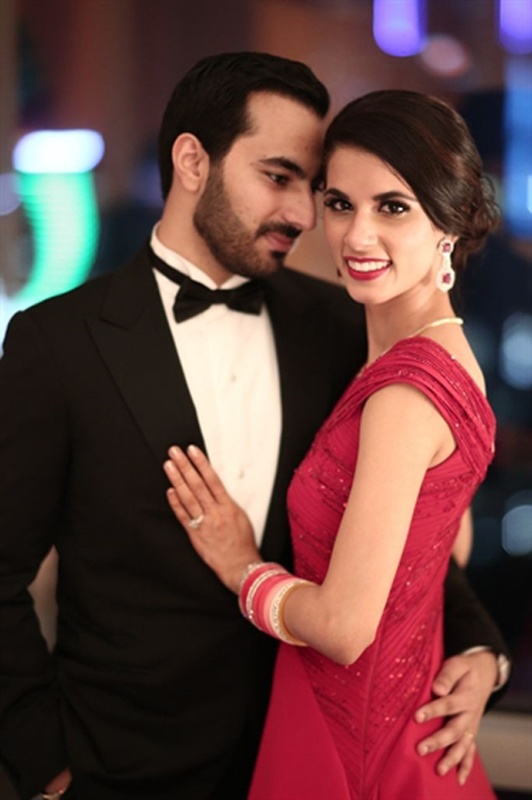 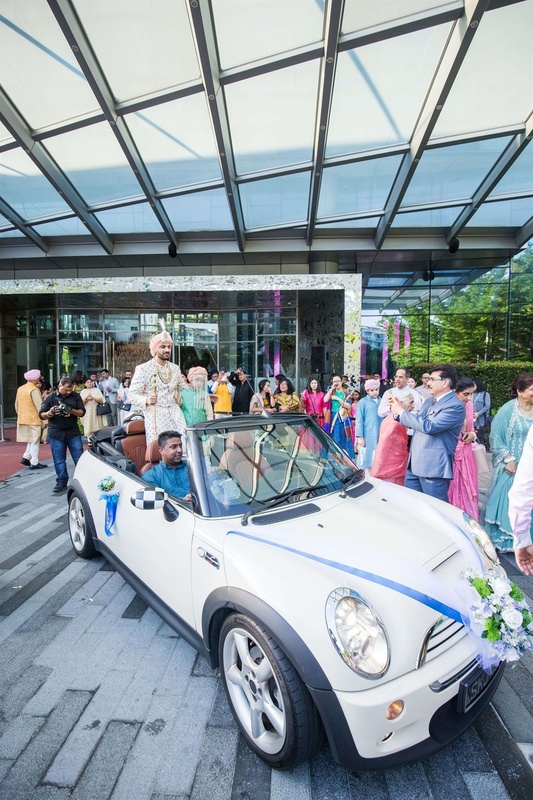 Rohan and Naina recently got hitched in an ethereal ceremony at Singapore. 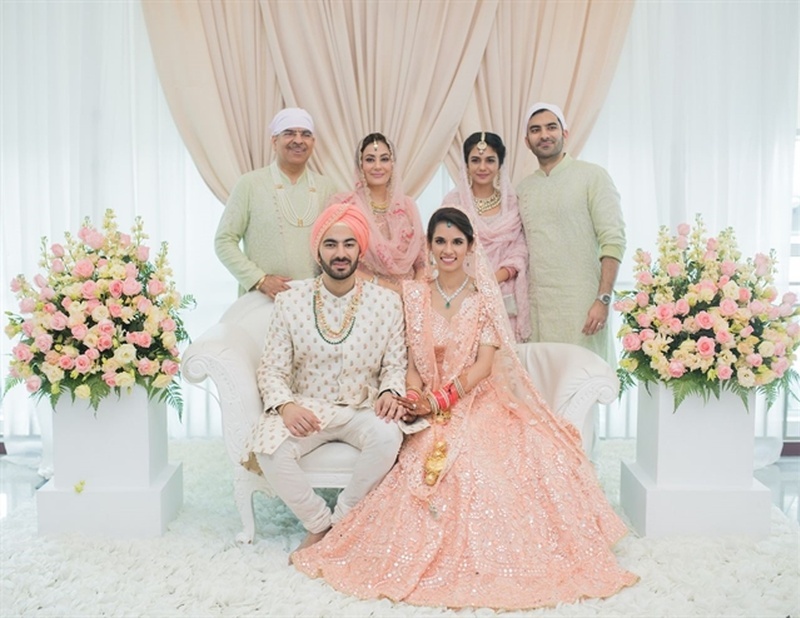 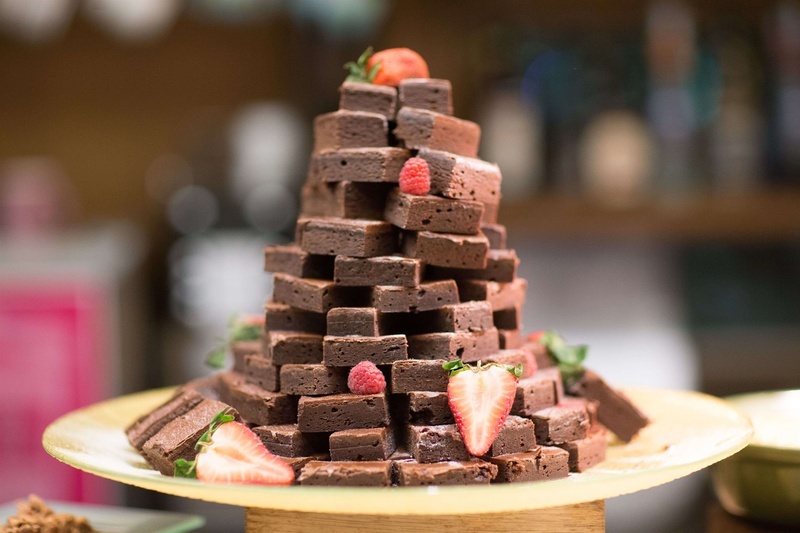 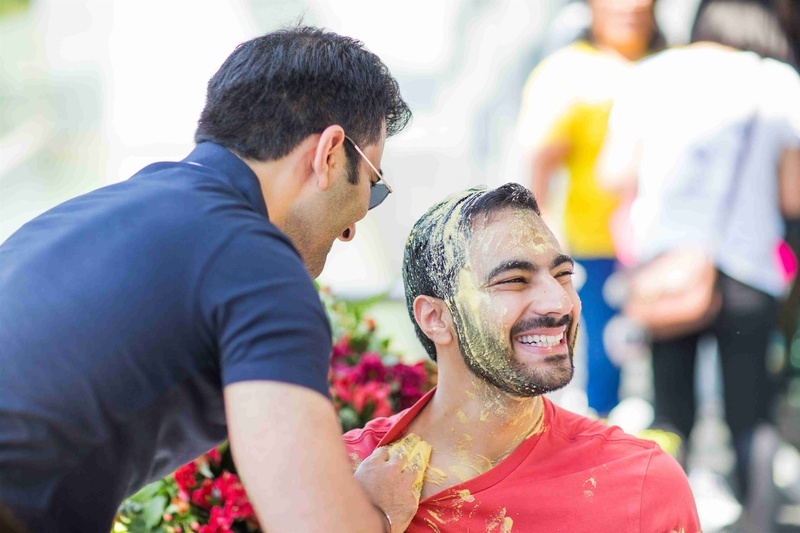 The two love birds celebrated the start of their new life with their near and dear ones. 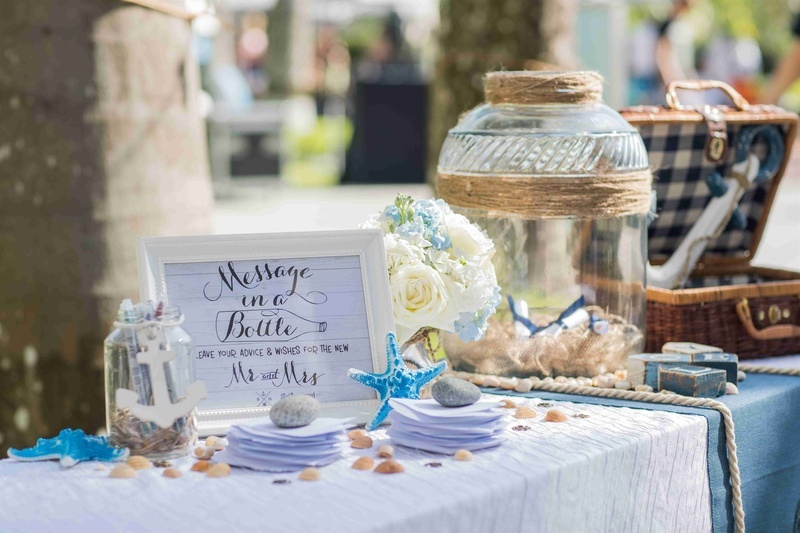 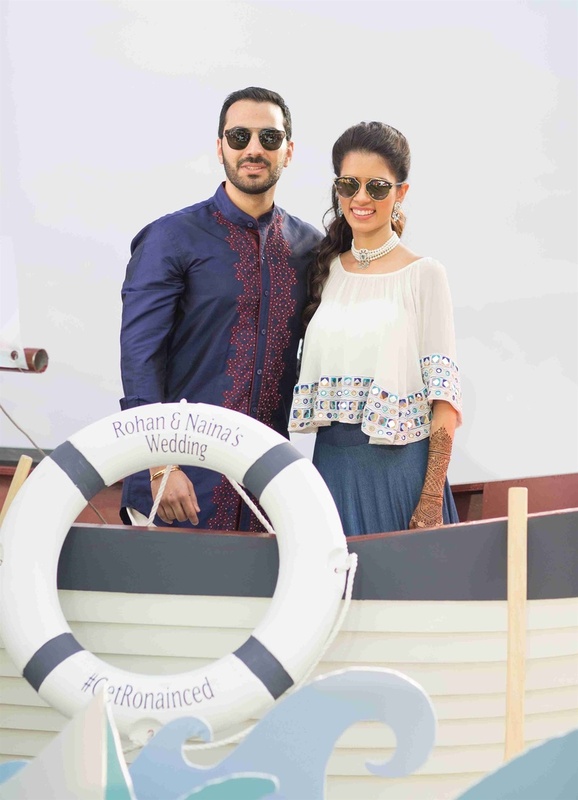 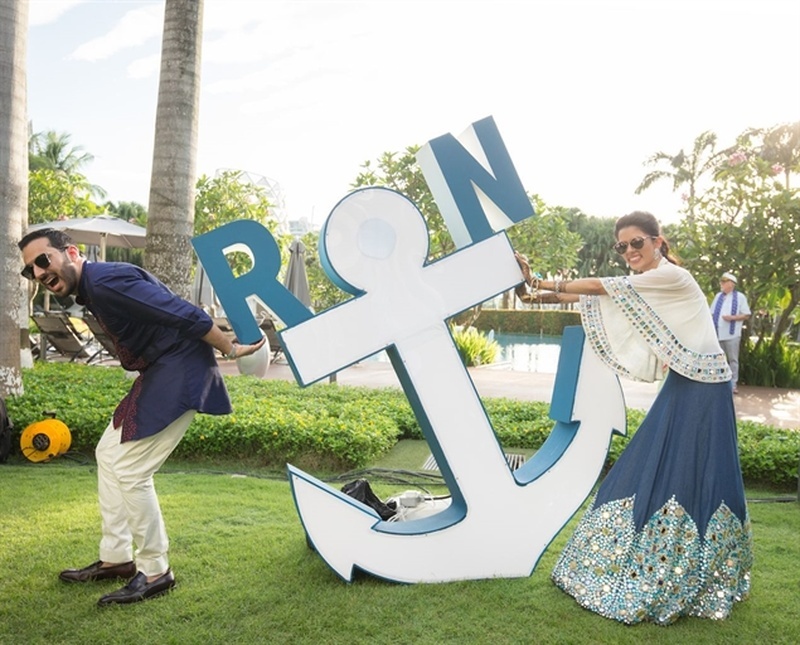 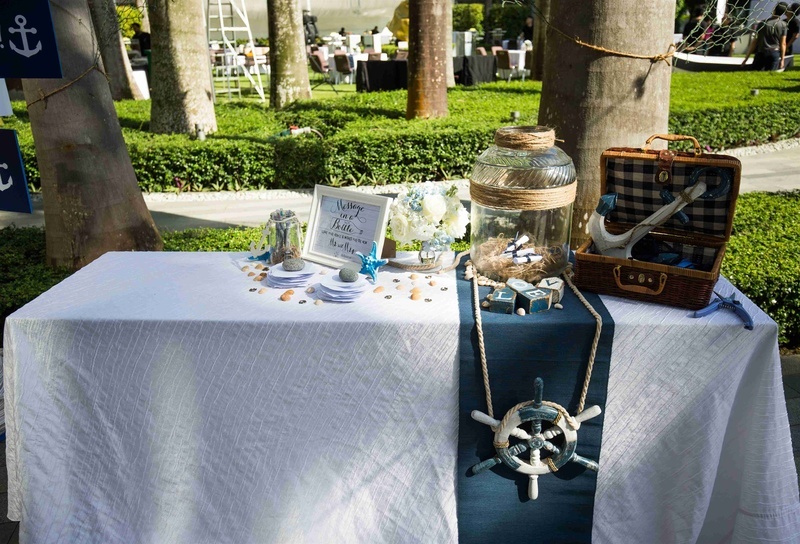 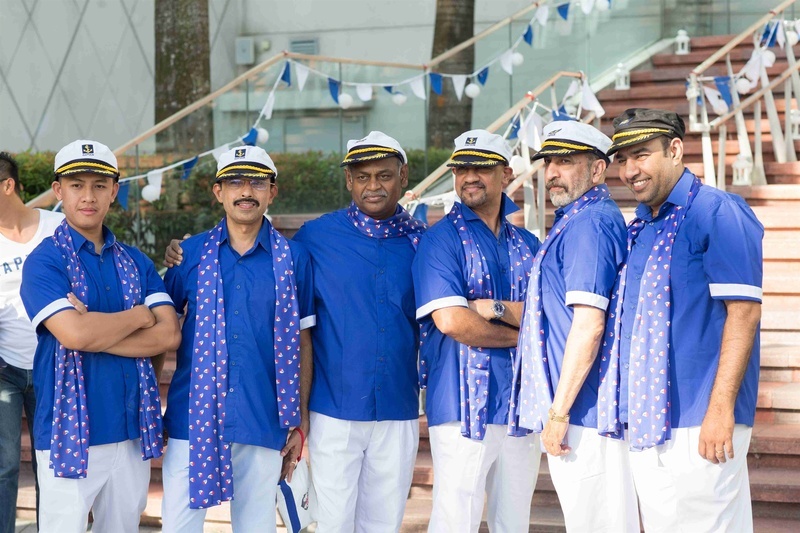 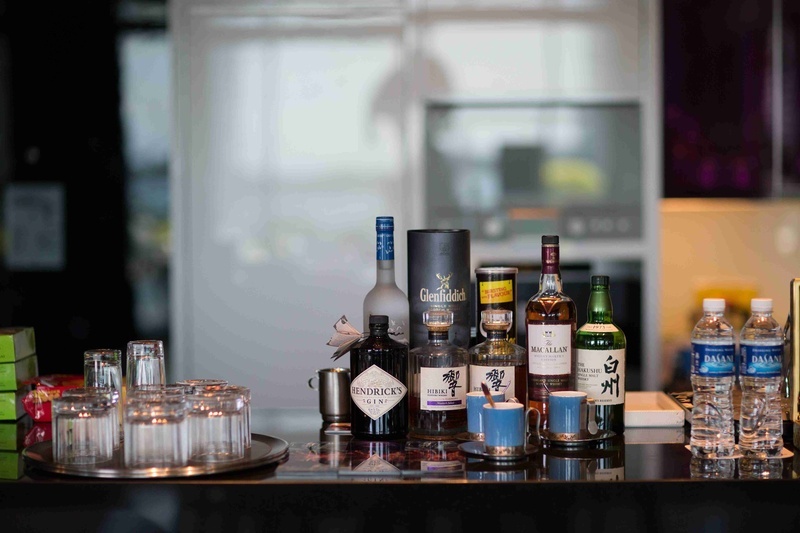 The decor was quirky, keeping in theme of the sailor and their hashtag was quirky-er : #Ronaince! 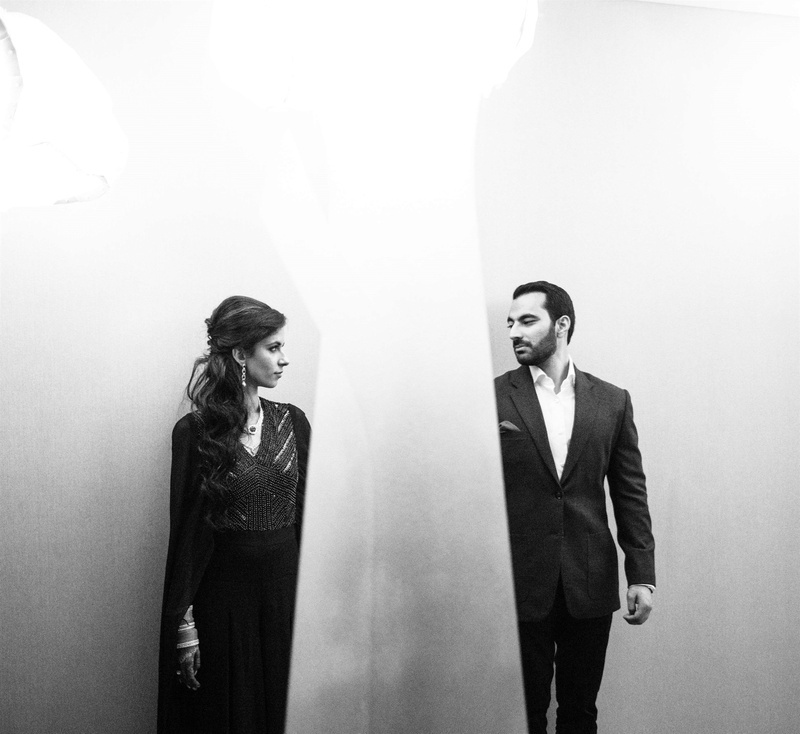 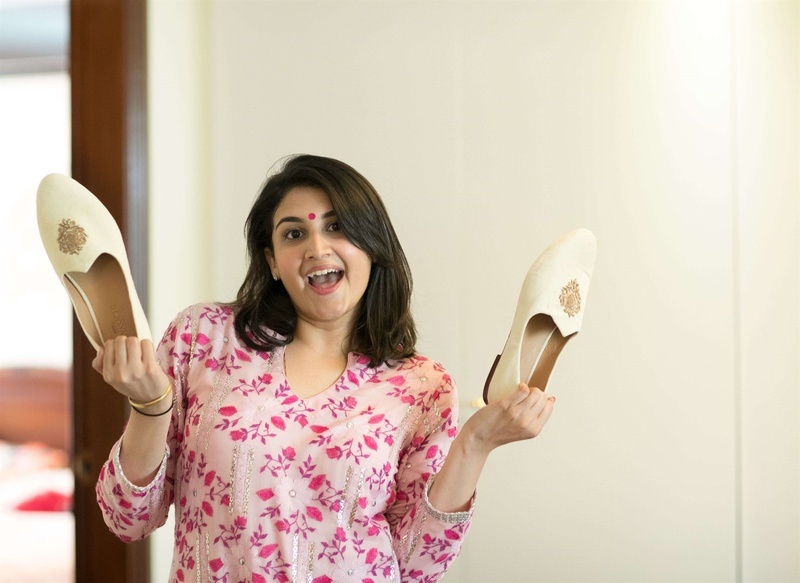 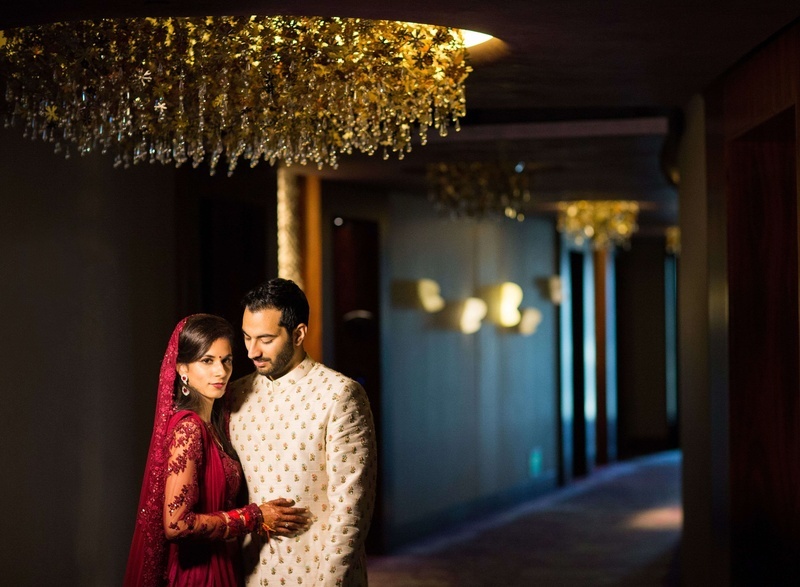 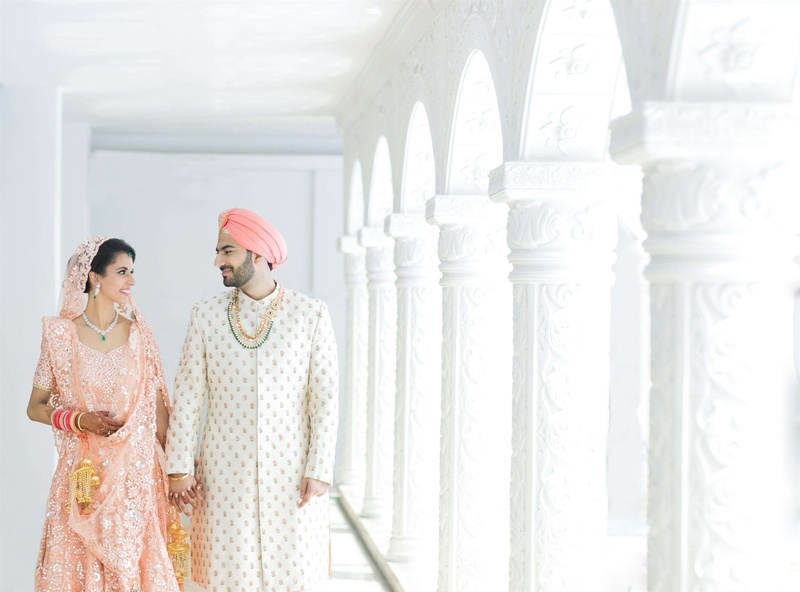 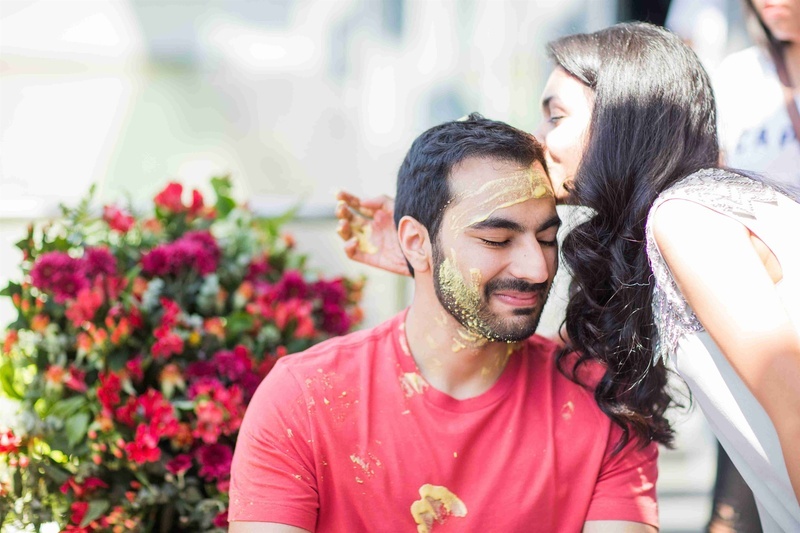 Totally crushing over Naina’s outfits, the venue, the decor and the entire shaadi! 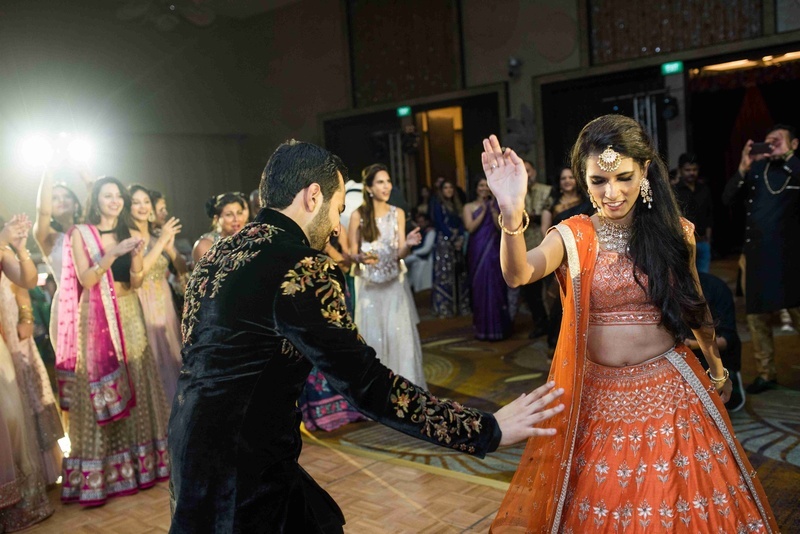 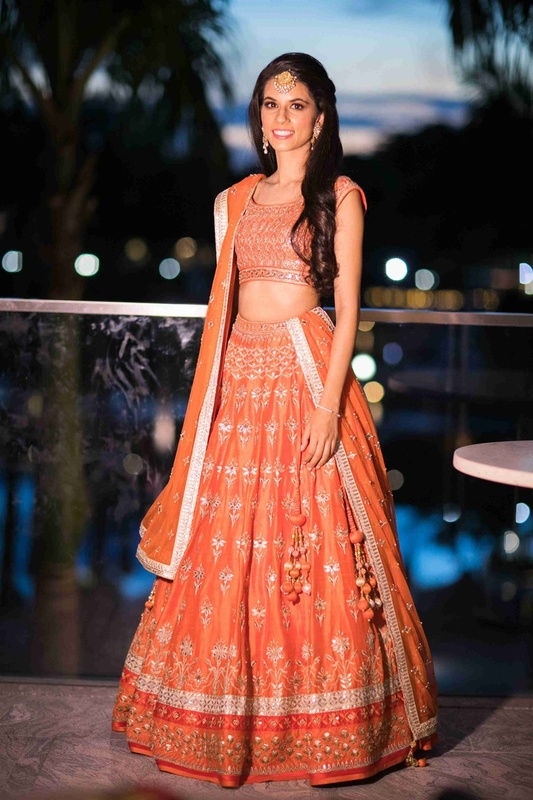 Naina donned a pretty orange lehenga for the sangeet. 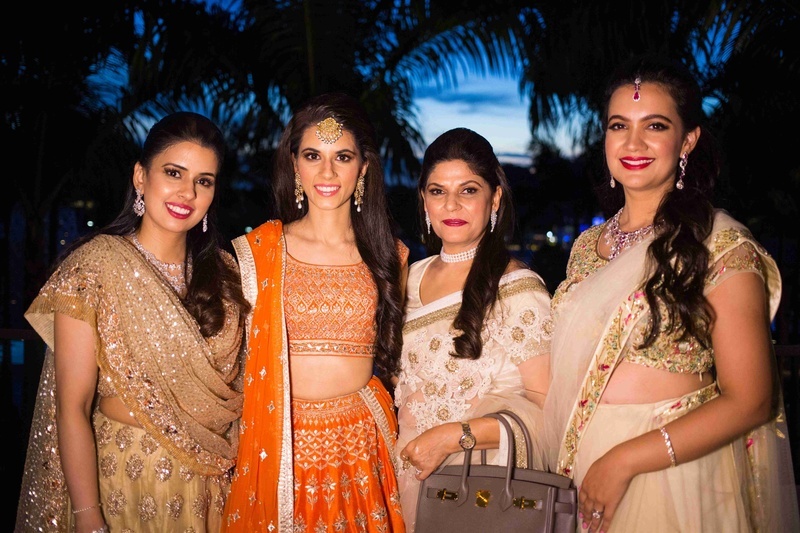 And let us tell you, she looked no less than a princess! 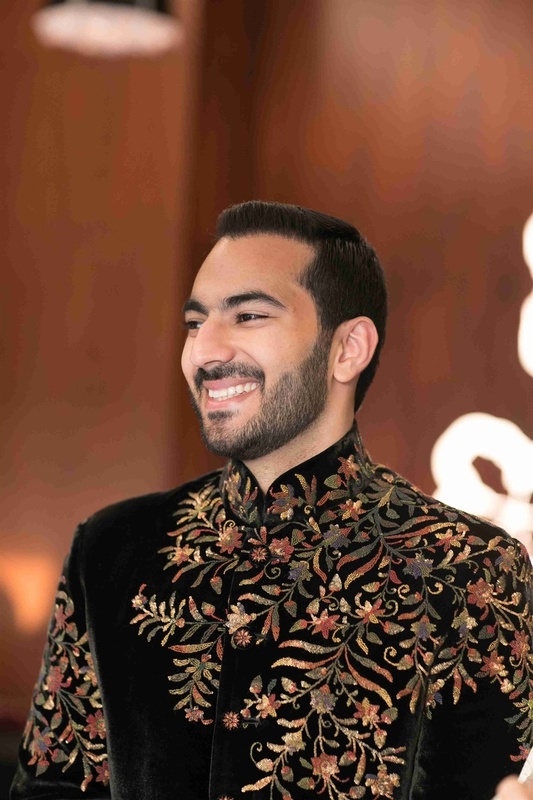 Rohan looked dapper in a black coloured embroidery sherwani. 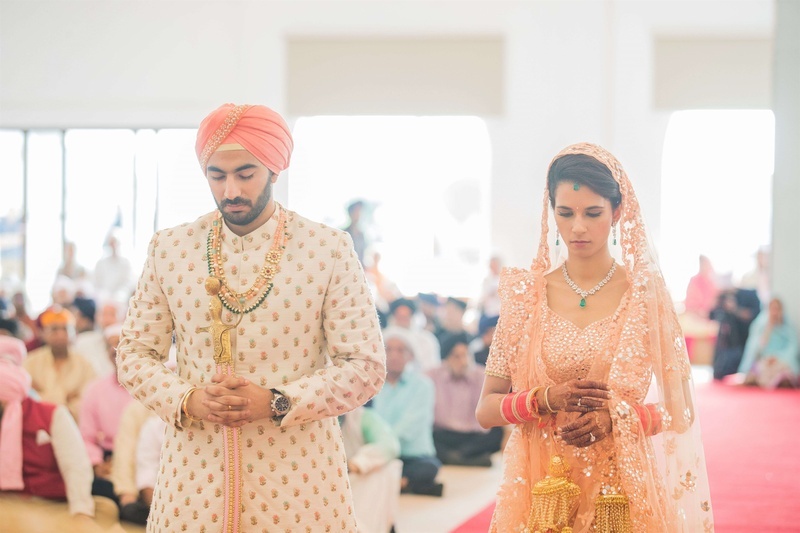 The wedding was held in a Gurdwara. 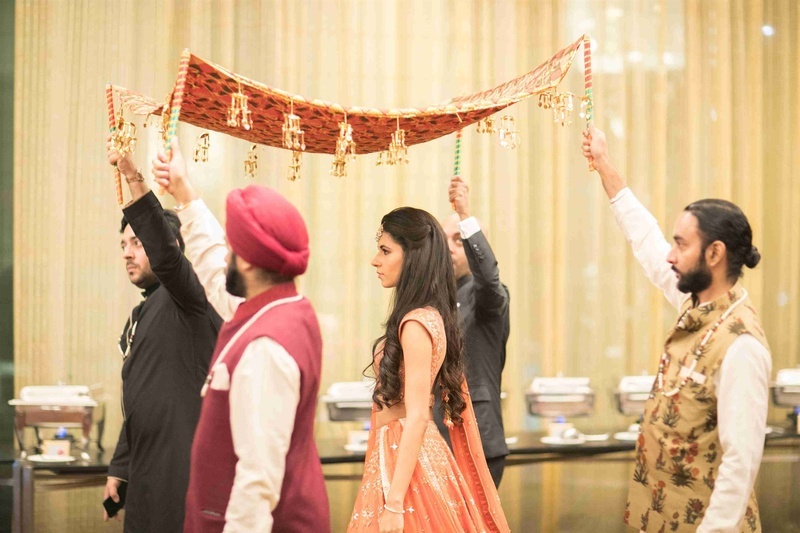 The Anand Karaj was simple, beautiful and painted in all shades of pastel! 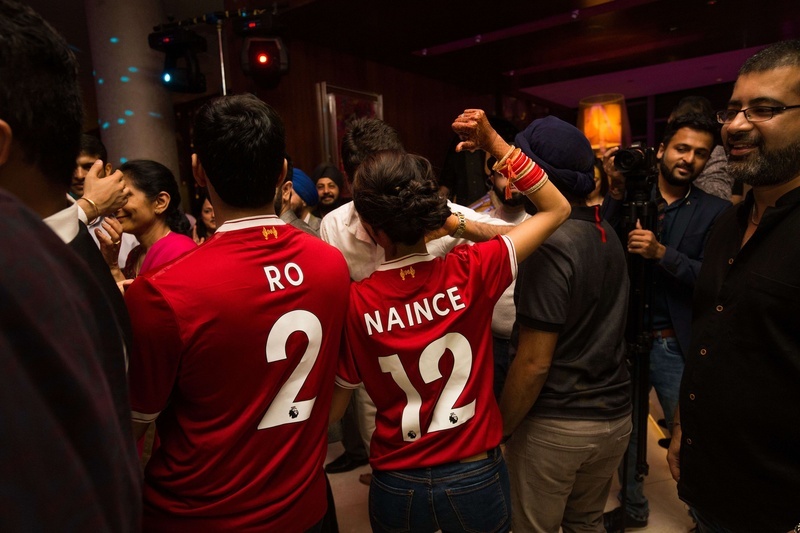 We love how Rohan and Naina colour coordinated their outfits!